For instance, in 2017 the average fees for breast augmentation in the US were over $3,700. A full facelift would set you back almost $7,500. Oh, and liposuction would cost around $3,400. Despite the costs involved, countless numbers of people undergo surgery every year. In fact, in 2016, over $16 billion was spent on these procedures in the United States. That was a record figure at the time. Clearly, people find a way to pull the money together. But how do they do it? How can you afford plastic surgery to achieve your dream appearance? Let us help. Keep reading to learn exactly how to pay for plastic surgery. The following methods will raise you the funds in no time. 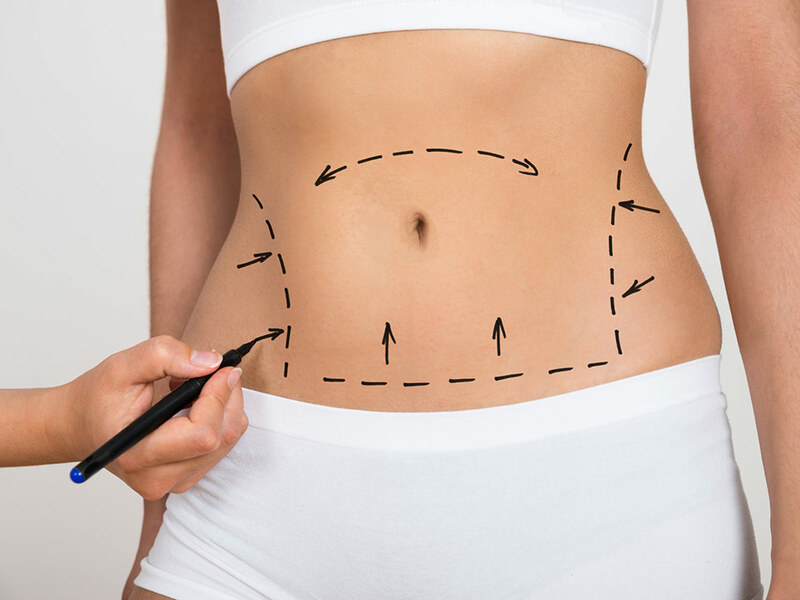 Why not take the time to save up the money for your surgery? Sure, it’ll take longer. But that’s not a bad thing. Don’t you appreciate anything more when you’ve earned it through hard work? Likewise, plastic surgery is a big decision. It shouldn’t be rushed. Being forced to save up for the procedure over time will help reinforce if it’s actually what you want. There’s nothing worse than diving into a decision only to regret it later on. The time taken to raise the funds will ensure you know for certain. Some surgeons may offer payment plans for surgery. This helps take the pressure off. Rather than paying one fixed amount of cash up front, you get to space out payments over an agreed period of time. With less money needed at the outset, you could potentially undergo surgery sooner. However, not all plastic surgeons make this an option. It’s worth asking though. Speak to your surgeon to check if it’s a possibility. Your family wants what’s best for you. If you’re determined to get surgery, and your family is behind that decision, then why not ask them to lend you the money? They may even gift it to you. Regardless, paying your family back has obvious benefits versus bank loans. Firstly, there’s no need for a positive credit score. More importantly, it’s less likely that you’ll have to pay interest on the money. That means swift access to funds, plus a guarantee that you only pay back what you spend. Anyone with a 401(k) can withdraw up to half of the balance in it in the form of a loan. This is a straight forward way of getting money fast. There’s a maximum of $50,000 available, but it’s available immediately. Similarly, it doesn’t impact your credit rating, and the interest you pay goes back to you, as opposed to a bank. A downside is that you will end up paying double tax. That’s because you repay the loan with taxed money. Then, when you retire, you’ll pay tax on the money you withdraw. It’s for you to decide the surgery is worth it! Why not use your current credit card? It’s quick and easy and will help with your credit rating. You’ll need to ensure you have access to sufficient funds for the procedure though. Moreover, be wary of using a credit card with a high interest rate. We don’t need to remind you that these procedures aren’t cheap. A hefty interest rate will only make the surgery that much more expensive. A medical credit card may be exactly what you need to afford your plastic surgery. We wouldn’t blame you if you’ve never heard of them. They haven’t been around for too long. These cards function in the same way as your ordinary credit card. However, you can only use them for medical purposes. Nicely, it isn’t too difficult to get your hands on one. Even better, interest rates are pretty low and they come with 0% promotions. However, be careful. Plastic surgery can become addictive, and a medical credit card makes it relatively easy to purchase it. Remember, don’t rush into surgery. Think it through. You could end up with serious credit card debt if you aren’t careful. Personal loans are popular and common ways of getting money quickly. You simply go down to your bank and, given a decent credit rating, you’ll be granted access to the funds. The fixed interest rates are helpful here, as you know exactly how much you have to repay. It’s a one-time thing too. Once the money’s gone, it’s gone. That minimizes the chance of getting into further debt, as can easily happen with credit cards. That said, you must be certain that you can make the repayments on time. Have you got bad credit? A typical bank loan may be unavailable to you. That’s where online installment loans can come in handy. Here, you can access the necessary money with a bad credit history and score. It may be exactly what you’re looking for. That said, be exceptionally wary. These loans can pack immense, unfixed interest loans that can cost you an arm and a leg in the long run. As badly as you want plastic surgery, it isn’t worth bankrupting yourself over. You can learn more about these loans on this page. There you have it: exactly how to pay for plastic surgery. These procedures are incredibly expensive. Paying for plastic surgery is no mean feat. People continue to do it though. One way or another, men and women gather together the funds required, paying billions of dollars each year in the process. Getting the money together can be hard. However, as we’ve seen, it definitely isn’t impossible. Saving up, taking out loans, and relying on credit can all make surgery viable. Did you enjoy this piece? Click here for more health and beauty articles!